Locals have kept it a secret for a long time, but the word is finally getting out — fall is the new spring in Destin, Florida. Now don’t get us wrong; spring is still a thing, but we have long named October as our favorite time of year, and we are finally ready to announce it to the world. The reasons we love fall revolve around the weather and all the events that get us outside. We put together some of the best reasons to visit Destin this fall. Destin doesn’t do winter. There are roughly 3 days per year when we have to wear jackets, and we complain about it the entire time. So when we describe the fall season, we are not talking about the same fall that the rest of the country experiences. The average temperature lands just below 80 degrees and the water temperatures sit in the upper 70s. Everyone agrees; outdoor activities are just more enjoyable when you don’t feel like you’re melting. You can find outdoor activities — tennis, golf, fishing, swimming, or even sunbathing — still going strong in Destin long after the rest of the country has shelved them for the season. The sunsets in fall are certainly worth bragging about. 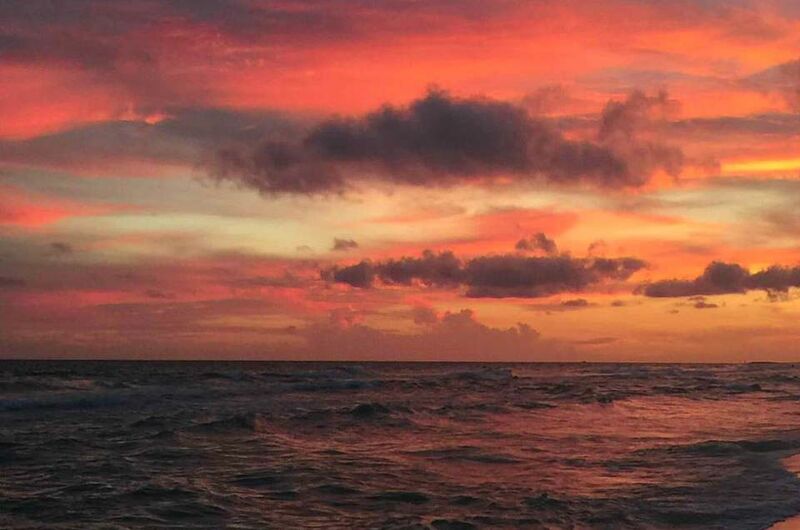 Year-round, sunsets in Destin are beautiful, but those fall sunsets really are in a league of their own. Because of Destin’s geography, during the summer months, you won’t see the sunset into the Gulf of Mexico unless you find just the right spot. During the fall, every spot is just the right spot. Combine that with the flawless temperatures and you have the perfect recipe for memories you’ll never forget. Destin and the surrounding areas are full of outdoor activities in the fall but two of our favorites are the Destin Seafood Festival and the Destin Fishing Rodeo. Both of these events are full of music, food, local vendors, and wholesome family fun that everyone can participate in. Basically, it doesn’t matter what calls to your heart, Destin in the fall has something for everyone — and the weather allows you to legitimately enjoy doing it. If you’re ready to experience this incredible time of the year for yourself, book your fall vacation today!